This tastefully updated ranch walk-out in prestigious Sterling Pointe on 2.3 acres is perfectly situated in the very back of a cul de sac. Approx. 5487 total square feet with 3 bedrooms on the main level & 3 baths with lots of room for your custom design in the framed lower level with electrical installed. Beautiful kitchen has everything for the Chef in the family: slab granite counters, cook top, double oven, pantry, center island, breakfast bar & breakfast nook. 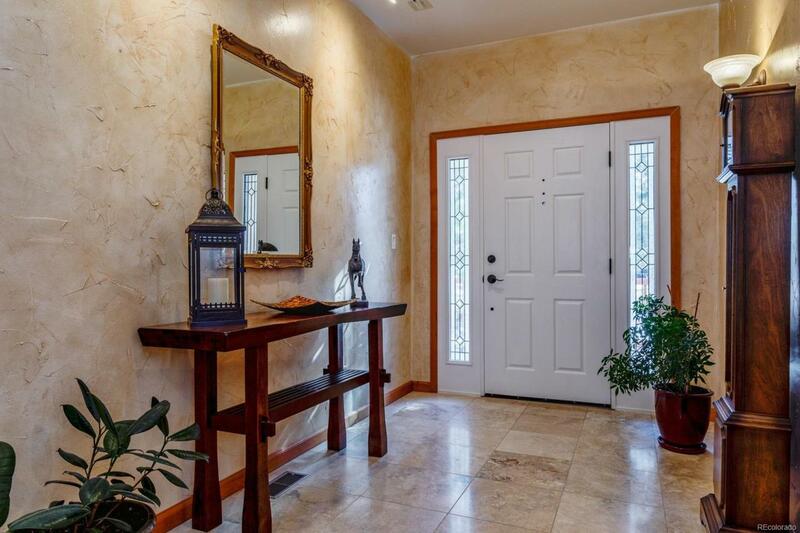 Massive main floor master suite w/spa 5 piece bath, large walk-in closet & access to back patio. 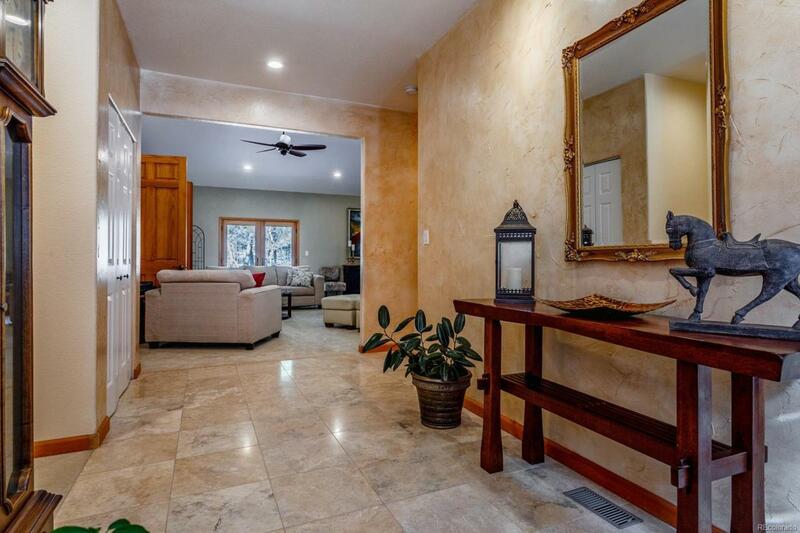 Spacious dining room & spectacular living room & family rooms w/double sided fireplace, vaulted ceilings & french doors from both rooms opening to the gorgeous patio & back yard. New asphalt driveway w/circular drive at side entry 3 car garage. Hot water re-circulation system. 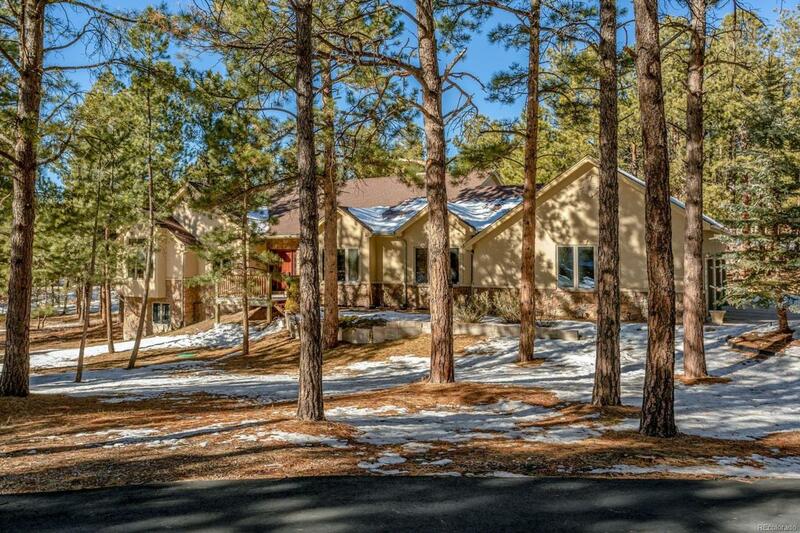 Fully mitigated lot w/towering pines. Abundant wildlife. 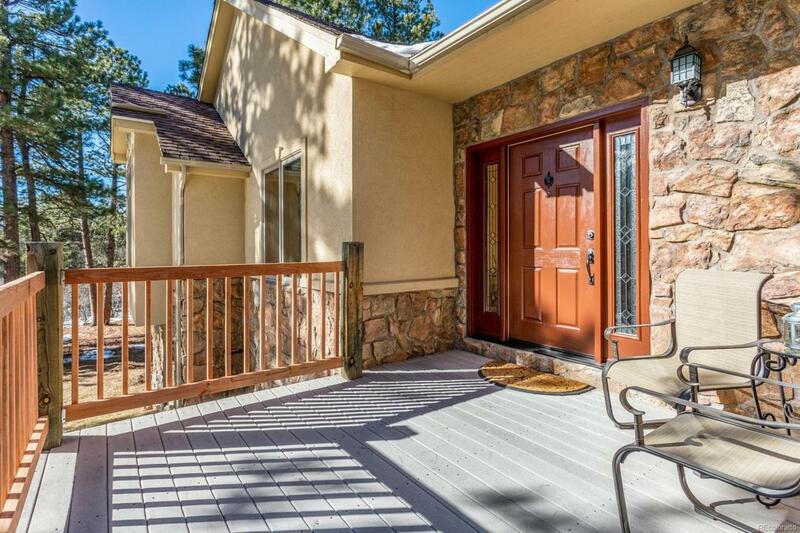 Only 8 miles to Castle Rock & 25 minutes to DTC or CO Springs. Near the Golf Club at Bear Dance.